I love Asian food – Thai, Chinese, Vietnamese – all of those fresh, aromatic flavours get my mouth watering just thinking about them. 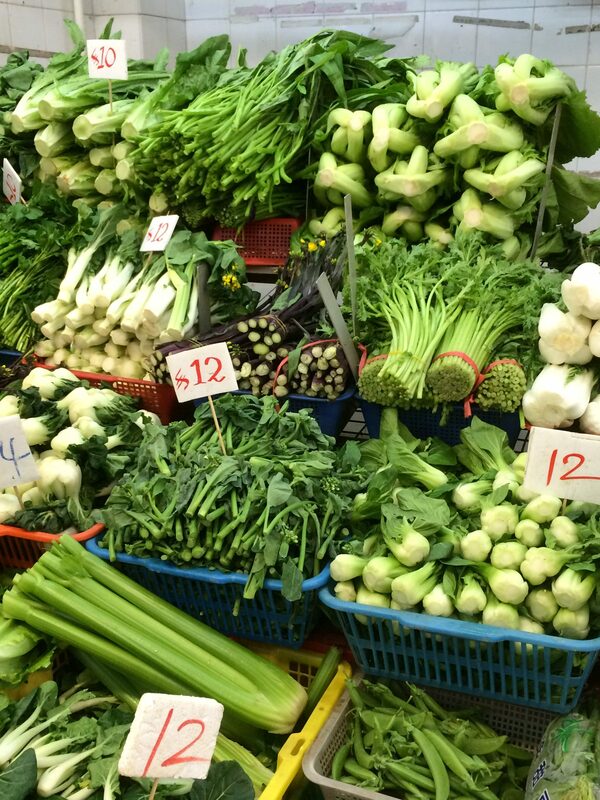 This selection of greens in the market in Hong Kong, just had me wanting to whip the wok out immediately, fry a few up and submerge them in a rich, chilli spiked broth with some noodles, for a perfect lunch. However, on this night I was actually cooking a more European style meal for my friend Stuart and his marina buddies. A bunch of lively ex-pats who, whilst loving their time in this fascinating city, were occasionally yearning for some more familiar flavours. I opted for a coq au vin, served with Dauphinoise potatoes and greens. The ‘oh so sad looking’ plastic wrapped broccoli in the supermarket was around £5 a head, so I opted for a selection of the above and gleaned 2 big bags overflowing with leafy goodness for around £2. I wasn’t too upset that being the archetypal bachelor, Stuart had limited kitchen equipment on his wonderful boat Imvubu, as this played to my mealtime game of ‘can I do everything in one pan’ (I’ve actually cracked the one pan roast dinner but will post that another day!). So in a large frying pan I brought some salted water to the boil (around 2cm deep). I then packed the greens some whole, some shredded, into the pan and let simmer until the water had all but disappeared. A splash of vegetable oil, 2 cloves of garlic sliced and the zest of one lemon joined the greens. Heat was then turned up high to finish off the cooking process, allowing a few of the leaves on the bottom to catch very slightly adding a charred effect. A twist of salt and pepper and squeeze of lemon juice finishes the dish. Happy tummies all round and light enough to move onto the chocolate and almond cake that followed…. 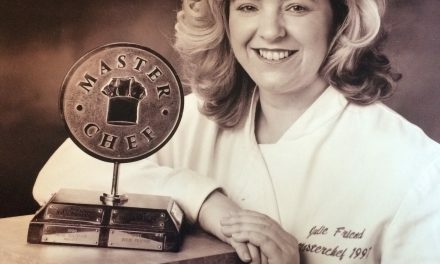 PreviousMasterchef – where are they now?